Writer and journalist Toby Young returns to his childhood in North London. The son of Lord Young of Dartington, a towering figure in post-war social policy making and the originator of many of this country's institutions, Toby remembers his father being a formidable over-achiever and workaholic. His mother, the artist and writer, Sasha Mooram gave up a career at the BBC to look after Toby and his sister full time, something the children remember as being very difficult for their mother. Toby's father, who believed in comprehensive education, sent his son to two comprehensive schools. After leaving school at 16 with only one O level and on the insistence of his mother that he get a trade, he attended a work experience programme where he trained as a car mechanic, washer upper and a lavatory cleaner. But he decided the work of a manual worker was not for him. He was persuaded by his parents to go back to school and attended the sixth form at William Ellis Grammar school in London gaining 3 A levels. And it is the traditional education he experienced here, its discipline and high expectations, that Toby wants to provide in the new free school he is opening next month in West London. It is something he believes his father would be proud of. In the House I Grew Up In, Toby Young takes Wendy Robbins back to the home and haunts of his childhood. Jasvinder Sanghera is the founder of the charity, Karma Nirvana, which campaigns against forced marriage. She was also one of the influential voices behind the 2008 Forced Marriages Act. Jasvinder was born into a Sikh community in Derby, part of a family of seven daughters and one son. Her mother married off each of her girls one by one. But when it was Jasvinder's turn, she refused. So she was dragged to her bedroom and a lock was put on the door. She was told that she had brought huge shame onto her family and that she would not be allowed out until she promised to go ahead with the wedding. She finally agreed but, once free, hatched a plan to run away with her secret boyfriend. She was just 15. This caused a family rift which, in the 30 years since, has never fully healed. The relationship which Jasvinder mourned the most was with her father, to whom she was very close. After his death he made Jasvinder executor of his estate - proof, for her, that despite everything he had always loved her. She takes Wendy Robbins back to her childhood homes and haunts and tells her about her recent trip to India's Punjab, to meet the one sister she had never met before. Bachanu had decided not to make the journey with the rest of her family when they came to England in the late 1950s. This was a cathartic meeting. Bachanu told her sister she should carry no shame. Their father had travelled to this country in order to live by western values, and Jasvinder, she thought, should not have been punished when that is what she tried to do. Terry Waite, who was held hostage in Beirut for nearly five years in the late 1980s, returns to his childhood in the small Cheshire hamlet of Styal. Born in 1939, he remembers the constraints of being the son of the local policeman, where any misdemeanour from a young Terry came under scrutiny. His father Thomas, a highly principled man, was also a disciplinarian, leading to an ambivalent relationship between father and son. His mother Lena worked hard to keep the the family fed, especially at a time of post war rationing. Terry's parents used their large garden to sustain meal times and even sold fruit and vegetables to supplement a policeman's wage. As a child, Terry failed his 11 plus and left school at 16. Being a loner and finding village life too confined, Terry was eager to see more of the world and applied to join the navy, but he was persuaded by his father to stay at home and continue his education through evening classes and college. The Church of England played a big role in his life. As a boy he sang in the church choir and and even learnt large parts of the prayer book by heart and it was the rituals, language and music of his faith which he says nourished and sustained him while in captivity. 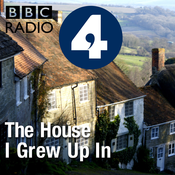 In the House I Grew Up In, Terry Waite takes Wendy Robbins back to the home and haunts of his childhood. Shirley Williams, now Baroness Williams, returns to her childhood homes in London's Chelsea and the New Forest. Her mother was the writer, Vera Brittain, whose most famous novel - Testament of Youth - was a best-seller when Shirley was a child in the 1930s. Her father, George Catlin, was an academic and and an instinctive feminist whose own mother had been an early suffragette, ostracised by Victorian society. He was a frustrated politician who stood for parliament a number of times but was never elected. But these were not the only nurturing adults in her young life. Also hugely significant was her mother's best friend, Winifred Holtby, and the housekeeper and her husband, Amy & Charlie Burnett - a bright, under-educated working class couple whom Shirley adored. The conversations in her childhood home centred on world events - the Spanish civil war and the rise of Hitler. Vera Brittain was a pacifist and, as such, found herself and her husband on the Nazis' blacklist. Had the Germans invaded in 1940, Shirley's parents would likely have been eliminated. Fearful of this, soon after war broke out and with the battle of the Atlantic raging, they put Shirley and her brother on a ship and evacuated them to the USA. The programme focuses on the relationships she forged with the adults in her early life and what she learned from them all. She credits her father with giving her the confidence to pursue a life in politics, Amy with imbuing in her a practical understanding of the constraints of a class-bound society, her mother with a vision of nobility and Winifred? Winifred was simply fun. Wendy Robbins accompanies Shirley Williams as she revisits the homes and haunts of her childhood. Producer : Rosamund Jones. Writer & journalist Peter Hitchens was born in 1951 and moved to Portsmouth as the sixties began and the navy (in which his father was a commander during World War 2) declined. He grew up with heroic tales - from Admiral Nelson onwards - of great men who had kept this island safe. His life-long squabble with his older brother, Christopher Hitchens, took root here as did his teenage rebellions - against God, against suburbia - both of which he still deeply regrets and may have played a part he believes in the fracturing of his childhood idyll when his parents divorced and his mother died. He takes Wendy Robbins back to the homes and haunts of his post-war childhood. Producer : Rosamund Jones.